Nothing stirs a hunter's soul like elk country. Towering granite peaks, rolling hills studded with glowing stands of aspen and countless pockets of deep, dark timber. Elk country may be beautiful, but elk hunting is hard. Killing an elk? That's even more difficult, especially for those who don't do it much. The country is big, elk are slippery and a million things can go wrong. Going in prepared, though, can give you at least a head start. Here are ten tips that will help you find and kill more elk. Westerners have an intimate knowledge of the country they hunt. They know exactly what they're in for when they step out of the truck. Those who have never been on a western big game hunt don't. Elk country isn't just big, it's steep. And every elk worth chasing always seems to be uphill. Combined with thinner air, flatlanders will be huffing and puffing as they trudge up yet another hill. If running isn't an option and the gym is too far or too expensive, walk. Find hills and climb them until you can climb them without breaking so much as a bead of sweat. And then climb steeper ones. Do something, anything to get in shape. Because you'll need to walk a lot to find them. Elk aren't like whitetails. They don't have established home ranges where they spend their entire lives. They move. They move even more when they've been pushed around by you and your fellow hunters. 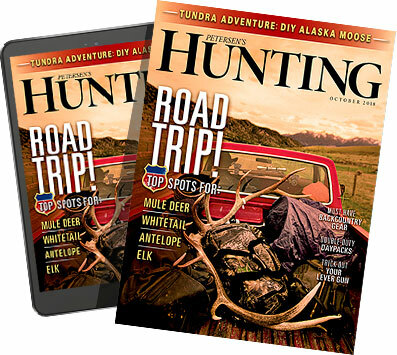 "You need to keep moving until you find fresh elk sign," says Shoot Straight TV host and long-time Montana outfitter Chad Schearer. "Elk usually aren't going to come to you, so it's extremely important to cover a lot of ground until you find them. I've seen them move five miles in a day." That means you'll need to stay on your feet. Let your eyes cover ground, too. Whether you hunt heavy timber, open sage or a mix, spend lots of time glassing, especially early and late when elk are on the move. Avoid walking through obvious bedding areas, though. That can push elk over the mountain, which means you'll need to walk even more. There's no guarantee you'll find them, no matter how much you walk. You may have to start from scratch. "I talked to a guy at a seminar I was giving who told me he hunted the same area for 39 years and he's never killed an elk," recalls Schearer. "He asked me what I thought he should do. I told him he needed to find another area to hunt." Sounds obvious, but many hunters have a bond with a certain area they just can't break. Even if it hasn't held an elk in decades. Some areas simply don't hold many elk. The best thing you can do if you can't find fresh sign is break camp and find new territory, even if it's on the other side of the mountain. You'll still have to find elk. So where do they go? As far away from you as they can get. That means they seek out pockets of dark timber and rough country where many hunters refuse to go. Schearer uses a map to find likely places, but a piece of paper or a GPS can only show so much. "I look for a jungle of dark timber on north-facing slopes," he says. "More specifically, I look for a high bench in dark timber. That not only gives elk cover, it gives them a vantage point and a quick escape if they need it." The rare bull might stay near a road, but there's a good chance someone else with a rifle will find him first. Like it or not, if you hunt public land, you'll have to avoid roads and trails. You'll never fool an elk's nose, but you can certainly fool its ears. That's why calling is such an effective tool. Sometimes. Unfortunately, many elk hunters not only don't know when calling is effective, they don't know how to properly use calls when they actually work. "I always carry a cow call, but I use it sparingly," says Schearer. "I'll make a single mew every 100 yards or so to cover my own sound as I'm still hunting. Elk make a lot of noise when they walk and a cow call can make you sound like a real elk." If the rut's over, however, leave the bugle at home. Even if it's not, tone it down. That is, if the area you are hunting is pressured. Aggressive calling can certainly work, but it can have the opposite effect on public land with lots of other hunters. Pressured elk have heard it all. Whether you call or not, slow down. Covering lots of ground requires fast walking. Once you find elk, though, rely on your eyes instead of your feet to find a bull. The more you walk, the more likely you are to bump them. "Hunt with the wind in your favor. Do everything you can to avoid letting your scent blow through likely bedding areas and be careful about bumping elk," says Schearer. "It doesn't take much to push them out of the area." There's nothing worse than watching a giant bull trot over a hill after he's winded or seen you. Unless, of course, you already put a bullet in him. Which leads to another important tip: Don't be afraid to shoot a cannon. Sure, gobs of giant bulls have been killed with .270s and even .243s, but plenty have been crippled and lost with lighter calibers, too. A heavier bullet transfers more energy and thus, does more internal damage. That means a marginal shot can still kill an elk at longer distances. Schearer recommends using as much gun as you can handle, but he also says bullet choice is critical. He's a fan of Nosler's Accubond. "I like a .300 Win Mag and a .338, but just about any of the .30 caliber rounds are good for elk. That's not to say smaller calibers won't work, but why not use the biggest bullet you can shoot well?" he says. A gun only works if it you get close enough to use it. That's why it's just as important to have high-quality gear as the right gun. You'll need a sturdy, comfortable pair of boots, adequate raingear, weather-appropriate clothes, quality accessories and the best optics you can afford. You'll likely spend lots of time glassing light spots on distant hillsides and faint movement within dark timber, so get the best binoculars you can. Poor ones not only offer a poor sight picture, they can lead to eye strain. A pair of Konus 10X-50s may be heavy, but you'll see more and better in low-light conditions. "Boots can make or break a hunt. I like Cabela's Meindl 10-inch boots. They are comfortable and offer good ankle support in rough terrain. I can walk all day in them," Schearer says. It's no wonder so many locals prefer to wait until the tail end of the season to punch their elk tag. There's good tracking snow and more important, all those elk up around timberline have been pushed down into the low ground by deep snow. The bad news? Those lower elevations are often on private land. And getting permission to hunt elk is difficult these days. It's not impossible, though, and plenty of elk winter on public land. You just have to find them. Early or late, big bulls are killed on heavily-hunted public land every year, but your best odds are in a limited-entry unit that is managed for older elk. Those tags can take years to draw. Start now. Put in for preference points in as many places as you can afford. It might take two years or it might even take 20, but once you get into that cycle, you'll be hunting high-quality areas on a regular basis.